Thanks to your original article on using the CT, I’ve been running one in my system too, and will shortly try the EFI-ROM/device ID flash, as I too like the idea of avoiding 3rd party kexts where possible. But on that subject, can you please tell me how USB3 is working on your system? I too have a Z97-based system (Z97 SOC Force in my case – literally!) but only solutions for fully working USB3 seem to involve extra kexts (I don’t have the knowledge to know how to fix it via editing DSDT) – so I’m just curious how you handle it on your system. Jeremy, I didn’t have to add any kexts for my board to get USB 3.0 working. I works OOTB. Luckily, because I don’t understand ASL at all. Sorry to trouble you again, but I wondered what system definition you’re using in Clover with Sierra? Is it still 14,2? Yes, that’s exactly what I use in Sierra. I also drop the Cpu0Ist and CpuPm tables and use ssdtPRGen generated tables instead but other than that, it’s prett y much all default settings. Hey I just looked at the USB 3 ports in more detail and it looks like the operate with USB 2 speeds as reported in System Information. thanks for the updates; I may try running vanilla and just adding a FL1100-chipped PCIe card for USB3 – they’re said to work OOB and much less hassle than messing with kexts. PS, just flashed my CT and it’s working great, so thanks for the info on that! I just ordered a FL1100 card as well after (unsuccessfully) meddling around with the DSDT. PPS, I believe system info will only report that the port is USB3 if there’s something USB3 plugged into it. 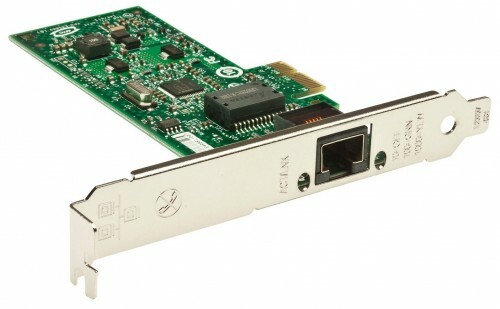 I have posted in the previous hackintosh NIC article,which find out marvell 88e8050 didn’t work,after finding sometime digging internet and buying multiple cards(i have a same goal as you), finally i got a nic working out of box,which based on 88E8053,but maybe there’s problem acquiring this card outside ASIA since its only manufactured in taiwan, if VERY lucky enough maybe you could get one. before get this card i have though buying that intel nic,but i given up because after installed UEFI based os,i can’t change the UEFI setting to bios compatible mode,which means dos cannot be booted. Frisa, I’m not sure what that UEFI problem is about. However, this Intel NIC can be flashed to UEFI mode, if this is something that would help in your situation. I just flashed mine with the EFI-ROM and changed the device ID property. Works like a charm. No more network kexts for me :-) This adapter will work in macOS as long as Apple continues to support it.